While species such as the African elephant, the lion, the panda, and the tiger tend to represent the precipitous decline of wild animals, the pangolin-an unassuming, solitary creature-is all but forgotten in mass media. Ironically, this relatively unknown animal is among the most coveted, poached, and traded. News reports tell the tale: "officers seized 2.34 tonnes of [pangolin] scales in 115 bags," "250 kg of pangolin scales seized in France," "956 frozen pangolins found smuggled into China,"... story after story of pangolin scales and bodies bagged and smuggled across international borders. Unfortunately, the creature's defense mechanism of rolling into a tight ball aids poachers, who simply pick them up. Each pangolin usually weighs less than 10 pounds, yet pangolins are trafficked around the world by the ton: thousands and thousands of innocent animals slaughtered by the greedy traders. All pangolin species are at risk from illegal trade. Deforestation and land use pressures add to the threat, but it is the growing consumptive use that creates the huge demand for pangolins. In parts of Asia, pangolin meat is considered a delicacy, with young and newborn pangolins often ending up in soup and their scales used in Asian traditional medicine. There is hope: Two species of pangolin are classified on the IUCN Red List as Endangered, and all pangolin species have some level of protection from trade under the Convention on International Trade in Endangered Species of Wild Fauna and Flora (CITES). Most recently, Born Free joined the Species Survival Network (SSN) on the newly formed Pangolin Working Group, which aims to secure greater protection for all eight pangolin species under CITES, and encourage improved responses to the threats faced by pangolins from both legal and illegal trade around the world. Pangolins are indeed in peril. Delegates at the recent CITES meeting in Geneva, along with my trusted colleagues at SSN, have begun the appropriate and necessary first step in protecting them: gaining greater insight into issues surrounding their trade. In the fight against wildlife trafficking, we mustn't forget a single species in danger. 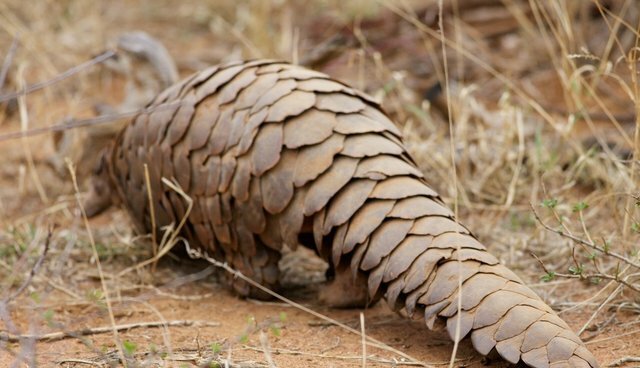 Even relatively unknown species, like the pangolin, represent devastating ecological loss. Whether striped, furry, horned, or scaly, each imperiled species deserves our attention-and desperately needs our protection.